Welcome to Americas Best Value Inn of Decatur/ IN/ located on the banks of the Saint Marys River in the northeastern quarter of the state of Indiana/ beautiful Decatur is the largest city in Adams County. Our hotel appeals to the entire family with our close proximity to things to do such as Adams County Historical Museum/ Swiss Heritage Society/ and Amishville USA. A visit to Fort Wayne Childrens Zoo can provide a wild and entertaining visit with the variety of animals and activities. For those who like to shop/ head the many different antique centers around Decatur. Local restaurants include Back 40 Junction Restaurant/ Sportsline Bar and Grill/ and James Spring Garden Family Dining. 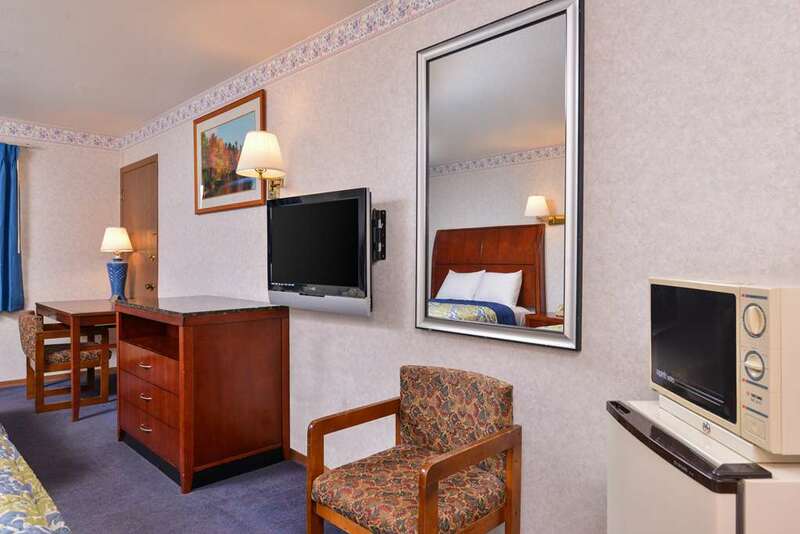 Americas Best Value Inn Decatur offers affordable rates/ freshly clean rooms/ and an attentive 24-hour front desk staff. Enjoy our free continental breakfast served daily. You can easily stay connected with complimentary high-speed wireless Internet access throughout our hotel. Come and unwind by lounging around our seasonal outdoor pool. For the business traveler we offer Copy and Fax Services and a desk with a lamp in every room. A flat screen TV with cable and HBO/ microwave/ mini-fridge/ coffeemaker/ alarm clock/ hairdryer/ and iron with ironing board are available upon request. Pets are allowed; charges and restrictions apply. We also offer free local calls. Everything we do at the Americas Best Value Inn Decatur is driven by our desire to provide exceptional service/ dedication to detail and a friendly/ comfortable environment. Join our family at the Americas Best Value Inn Decatur - You Deserve It. Americas Best Value Inn Decatur is located on US-27 S/US-33. Our address 1033 North 13th Street/ Decatur/ IN 46733.